Tonight, I finished off Pippin. 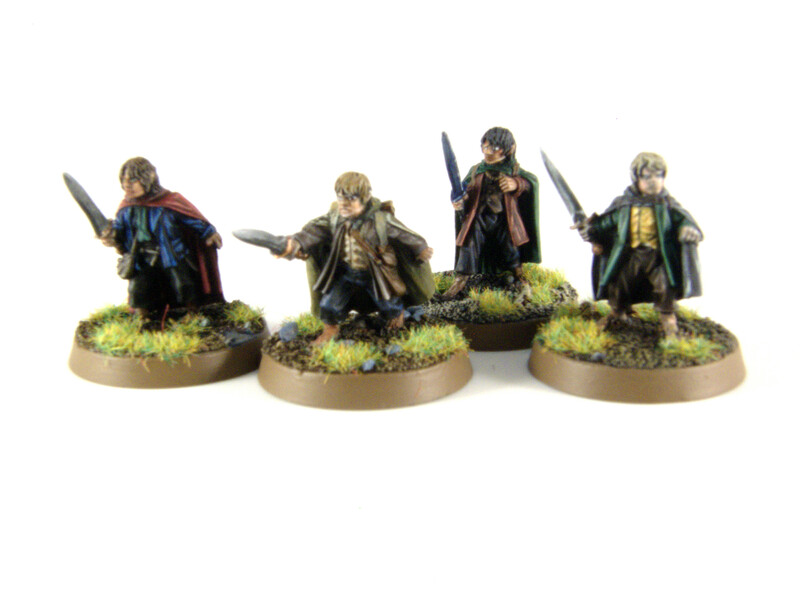 That’s two hobbits now done! Merry is done. 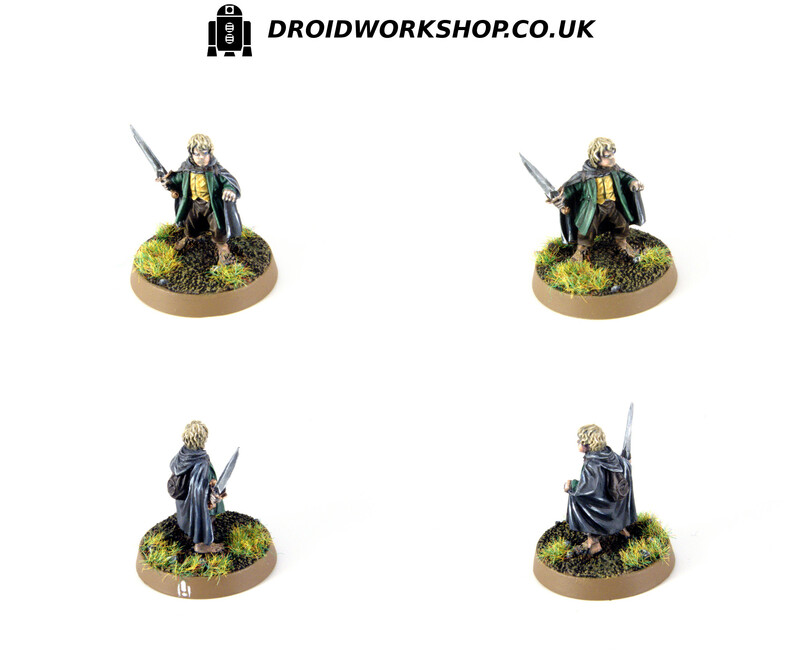 I think he’s my best Lord of the Rings model to date. He’s a challenging model, given the scale. Glazing the highlights to remove chalkiness, adding some subtle colour variation to the cheeks, and a little more work on the sword. 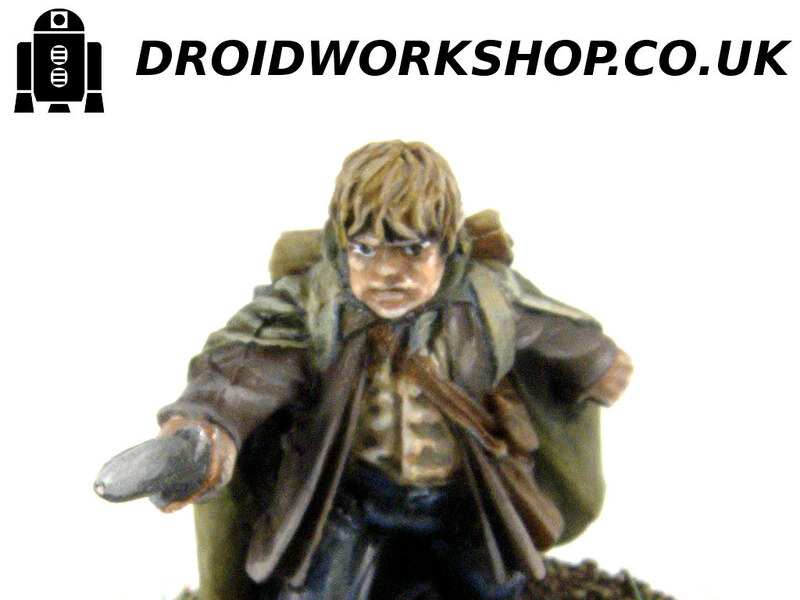 Working on Merry the hobbit. Tonight’s updates include, highlighting the hair, adding highlights and shading to the skin, starting to look at working on the sword, additional highlights to the waistcoat for greater contrast, and basecoating the base.